Do certain people suddenly put you in a terrible mood or make you feel tired and want to go to sleep? Or perhaps you know someone that is always critical of you and makes you feel shamed or judged. Energy vampires are people who drain your emotional and physical energy. And some are so toxic they can make it seem like its all your fault. While relationships with energy vampires are the main culprit for exhaustion, the energy depletion can also lurk in a bad job, social media, busy schedules, clutter, and a poor diet. 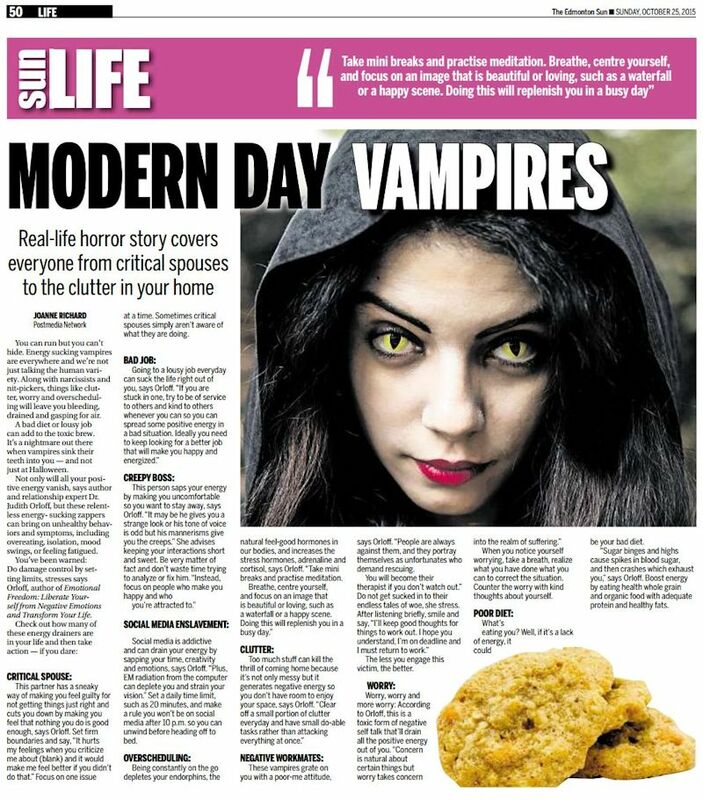 In this article in the Toronto Sun, I share the different ways energy vampires lurk around us and ways to develop your self-awareness to regain your personal power. Read the full article on Toronto Sun here.